Show Date: October 28, 2010. Poor American Eagle. He flew over a US military base and was caught in a hail of friendly fire. A farmer in Kansas found the Eagle in his barn, struggling with horrific wounds to his left wing. The right wing was in better shape, but growing weaker by the day from internal injuries. Eagle with Broken Wings - Photo from "An Eagle Named Freedom"
Amazingly, it was the same Kansas farm – foreclosed, bought, then foreclosed again (and again) – where Superman grew up and where Dorothy flew off to the Land of Oz. How the Eagle arrived in Kansas was a mystery. Most had long forgotten about Kansas, once the heartland of the nation. Now the nation no longer required a heart. Wall Street Titans had the best hearts that money could buy, while the middle class and poor had lost heart – along with their homes, jobs and economic security. The farmer was dirt poor, yet tenderly transported the injured bird to the Eagle emergency ward in his 1998 Ford Pick Up Truck – purchased long before cars became trucks and trucks morphed into tanks catering to teenage girls and young moms with cell phone earrings. Unfortunately, the farmer’s insurance company had recently raised his rates by 38 percent, and he couldn’t afford to pay. He would gladly have put the Eagle’s medical bill on his small business credit card – the one he never left home without – but American Express had jacked up interest rates on all small business owners across the board. When the farmer couldn’t handle the exorbitant increase, American Express froze his card. Sadly, if American Express hadn’t clipped his credit wings and/or the government hadn’t turned a blind eye while US health insurance companies increased their rates, the Eagle might have flown again. But the Eagle was left limping for the rest of his life – certainly no match for a Chinese Dragon. The farmer returned home with the injured Eagle, built him a box in a corner of the barn and shared the morsels of food he could still afford to grow. Truth be told, the President didn’t notice that the Eagle was missing. He was too busy rebuilding the Land of Oz in Washington, D.C., a triumph of human ingenuity if ever there was one, where the crow – not the Eagle – would prevail. Washington crows were growing stronger and more aggressive every day. They’d taken over the skies, had their own rules and special laws for the neighborhoods they controlled – building their nests deep in the roofs of the nicest homes and condos in the city. Indeed, the crows were settling in, growing comfortable. They didn’t have to go far for food or water. As for the Eagle, he was a very sad bird indeed. While he deeply appreciated the farmer’s kindness, now he had no job, no reputation to uphold, and would never soar again. 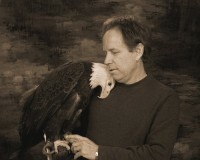 Much as he prayed nightly, the Eagle knew that he was no longer who he was. A proud national bird that put the rest of the world in awe. Instead, he would be forever dependent on others for shelter, protection and food in his dark little corner of the barn. Fleeting moments of joy would come from a rare glimpse of the sky, only to shatter his heart when an arrogant (crowing) crow flew by. An Eagle that loses its past will never regain its future. Don’t let them clip your wings!